Since before 2000 B.C., people have been using massage to treat a variety of ailments, from simple muscle injuries to more complex diseases. Today, practitioners still use massage in the treatment of certain conditions, including infertility. Evidence indicates that certain massage techniques can be applied to help alleviate some of the root causes of infertility, thus increasing a woman’s chance of successful conception. In light of this evidence, it stands to reason that massage is a viable and effective natural treatment option for many women struggling to conceive. One of the best things about fertility massage is that you can do it yourself in the comfort of your own home by learning specific massage techniques. You can learn these techniques easily through our Self Fertility Massage™ video. This can save you a lot of money and encourages you to take part in boosting your fertility. Below are descriptions of some of the most effective fertility massage techniques you will be guided through in the Self Fertility Massage™ program. Reflexology is the use of massage on certain areas of the feet. Each of the areas targeted during treatment corresponds to a specific part of the body. During Self Fertility Massage, reflexology is performed on the areas of the feet that correspond to the digestive, endocrine and reproductive systems in order to encourage circulation and clear congestion in the reproductive organs. According to Pathways2Health, reflexologists report that up to 50 percent of clients undergoing reflexology treatment for infertility become pregnant within six months. Myofascial release is a technique that releases the tissue surrounding various muscles and organs in the body. Over time, this tissue can become bound and twisted, which can impede blood flow to the reproductive organs and contribute to infertility. Myofascial release is performed by applying pressure to specific tissues until a noticeable release occurs. Acupressure is a massage technique that utilizes the same principles as traditional Chinese acupuncture, but without the use of needles. During acupressure treatment, pressure is applied to certain points on the body to improve circulation and balance. Research indicates that these treatments can be very useful in treating certain types of infertility. In fact, according to The Healing Arts Center of Philadelphia, these techniques have been used to induce ovulation, treat PCOS, increase blood flow to the uterus, and normalize function of the ovaries, pituitary gland, and hypothalamus. According to studies published in Massage Bodywork magazine, up to 50 percent of women treated with deep tissue massage become pregnant after continued treatment and up to 75 percent show noticeable signs of improvement in the health of their reproductive systems. Deep tissue massage works by increasing circulation and breaking up adhesions. It involves moderate to heavy pressure applied in long, deep strokes. The final technique used in fertility massage is Chi Nei Tsang, a form of gentle organ massage that originated in Asia. The purpose of Chi Nei Tsang is to balance temperature within the body, release toxins, and clear blocked energy so that the body can heal itself from various ailments, including infertility. Each of these massage techniques can provide benefits to people dealing with infertility. However, to get the most out of fertility massage, we find all of these techniques should be used in conjunction with one another through a guided application of Self Fertility Massage™. Fertility massage can also be combined with other natural fertility therapies, such as castor oil treatment or application of therapeutic herbal massage oil. Fertility massage should not be performed during menstruation or pregnancy. 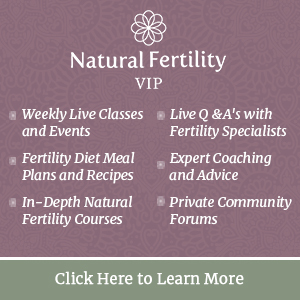 Do you want to take control of your fertility health and feel great doing it?